Globe Health Club is open 20 hours per day, 7 days per week with a key pass. For staffed hours, please see trading hours above. 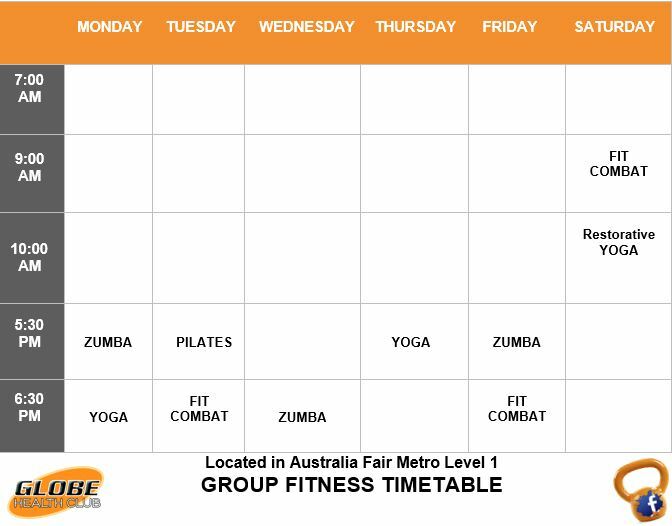 Globe Health Club offers a full range of group fitness classes, suitable for all levels of fitness with memberships at an affordable price. Visit their website for more details. Timetable below is current as of 27/12/2018. For up-to-date information including class cancellations, please refer to the Globe Health Club Facebook or Instagram.